Your personal healthcare information, owned by you. Every interaction with every medical professional, procedure, or pharmacy neatly organized in one place. Secured on the blockchain. Data interoperability through MediBloc brings complete patient health autonomy: helping doctors provide better care, better diagnosis and ultimately a better, more personalized healthcare experience. Bring unparalleled healthcare data samples from a global pool of every region and demographics: eliminate location bias and increase sample size to accelerate the advancement of medicine faster than ever. MediBloc provides data I/O control(core) and interfaces(service) for 3rd party applications & services. On top of MediBloc platform, all kinds of services using medical data can be implemented. This new healthcare information system with unprecedented possibility will bring a revolutionary movement in global healthcare. Let's get MED for Free now or never! Join MediBloc Bounty Program. Let people know about MediBloc project and help us make changes for the good of everyone! We offer you a chance to get MED! If you participate and follow our guide, you will get MED after the ICO is over. Participating in the Bounty program is very simple as follows. 3. Promote MediBloc and ICO in BitcoinTalk! You need to submit a Bounty Application Form before starting promotion. Or, your activity is not counted. You can track your participation status on Tracker Sheet. Tracker Sheet is updated on every Monday. To participate the Bounty Program, you need to register your username on the MediBloc website. Now we start a new campaign! If you ask anything about MediBloc on this thread, you can earn free 200 MED! But for the user who doesn't try hardest and ask identical thing who asked already will not be counted. - Your activity is automatically counted everyday. MediBloc is pushing a major Signature Campaign. The Bounty Program for Bitcointalk consists of 47% of the entire MediBloc Bounty program! The more posts you make on Bitcointalk the more MED you will be rewarded with. MediBloc has the sole discretion to determine whether or not the criteria to qualifications for a Bounty allocation are fulfilled (example: whether or a Retweet is appropriate for MediBloc). Bounty distribution may be withheld at the discretion of the MediBloc. The most common circumstance would be due to the incomplete Bounty condition requirements. 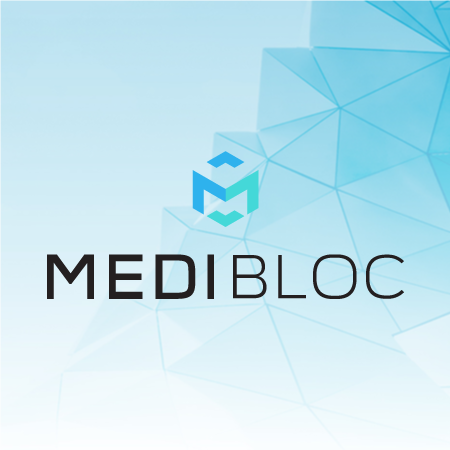 Additional Bounties can be rewarded to users who are particularly active during the MediBloc ICO campaign, in the case there are leftover MED from the Bounty pool. Any disputes that may arise from the MediBloc Bounty Program will be exclusively dealt the Gibraltar law. I've seen this a facebook page, I guess this is great, a blockchain created for healthcare. .Officially Supported by RSK and TLDR Capital. Thank you for your interest and support our project! Sign Up is now available on our website. Sign Up with us NOW and come one step forward to MediBloc Project! We keep uploading our latest news on FB page. Plz keep on eyes us! Please subscribe to our newsletter to keep you updated our latest news! The healthcare industry is needed to be applied the blockchain technology ASAP because of the feature of its data produced. Through the blockchain technology, the healthcare data can be taken back to the patient who are the "real" owner of it. ICO isn't our final destination in our roadmap. We are aiming to make the people live well without any worries of losing their healthcare data. Please keep your eyes on our news and roadmap. We will certainly realize the milestone of MediBloc. So, is the user group for this project targeted at patients and medical research institutes? So that the world's medical information can be shared, for medical progress play a significant role. Yeah, patients, healthcare providers, and reseachers can play a significant role itself on shifting new pradigm in healthcare industry through taking back the owership of healthcare information to patient. This is an interesting project, having all medical record in one place will makes us easier to get any medical attention we need. There are already other projects on this field, however health tracking is a worldwide problem, so a lot of people might be interested in this. Which added value would you bring compared to other existing projects? Quite an interesting idea! All the best! Let’s get MED for Free now or never! Join MediBloc Bounty Program. Let people know about MediBloc project and help us make changes for the good of everyone! We offer you a chance to get MED!